We’ve spent a lot of time on college campuses recently and met so many compassionate, intelligent students with a heart for affecting positive change on a global scale. One of our primary takeaways from these weeks spent on the road is this: we are confident that the future is in good hands. Students are increasingly excited about the intersection of faith and food. CreatureKind has always supported students who want to have critical conversations about this topic in their schools and churches, and a new partnership with Young Evangelicals for Climate Action (YECA) helps us do that better than ever. We’re thrilled to announce that applications are now being accepted for the new CreatureKind Climate Leadership Fellow program. The student selected to serve as the CreatureKind Climate Leadership Fellow will learn to lead faith-based discussions about the wellbeing of animals used for food and factory farming’s environmental impact. Working together with experienced YECA organizers, CreatureKind, and other mentors, the CreatureKind Climate Leadership Fellow will invest approximately 10 hours each week on work developing a strategy and specific project for engaging their campus/community around issues related to farmed animals and climate action. Oh, and did we mention that the fellowship includes a $1,000 stipend for project support and related travel expenses? YECA is an experienced fellowship partner with five years of experience supporting this sort of student opportunity. In 2018-2019 there are seven fellows from across the country, representing a variety of majors. Some of them are even using the experience to meet internship or other academic requirements for graduation. The 2019-2020 fellowships begin with a training retreat in August and run through April of the following year. 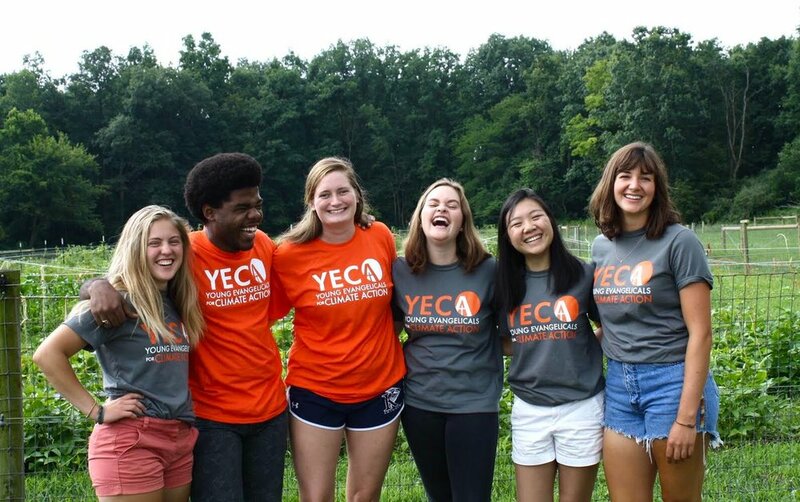 Learn more about the Fellows program and apply for the 2019-2020 CreatureKind Climate Leaders Fellowship by visiting these links on YECA’s website. Application deadline is March 30, 2019. Remember to indicate that you are interested specifically in the CreatureKind Fellowship when completing the forms. We deeply appreciate all students with a heart for this work. Best of luck in the application process!